Still, it’s not so bad, because it feels like summer in so many ways. The kids are outside playing, every single day (well, every day that it isn’t raining to the point of flooding). It’s lighter, longer. We’ve officially left our winter gear behind for t-shirts and shorts and sundresses and flip-flops. There is little, if any, homework. After-school activities are finished. Peaches are in season. Our garden is growing like crazy. The house already smells like sunscreen and chlorine. Now that I think about it, our kiddos may be the among the luckiest in the country: they essentially receive an additional month of summer before summer even begins. 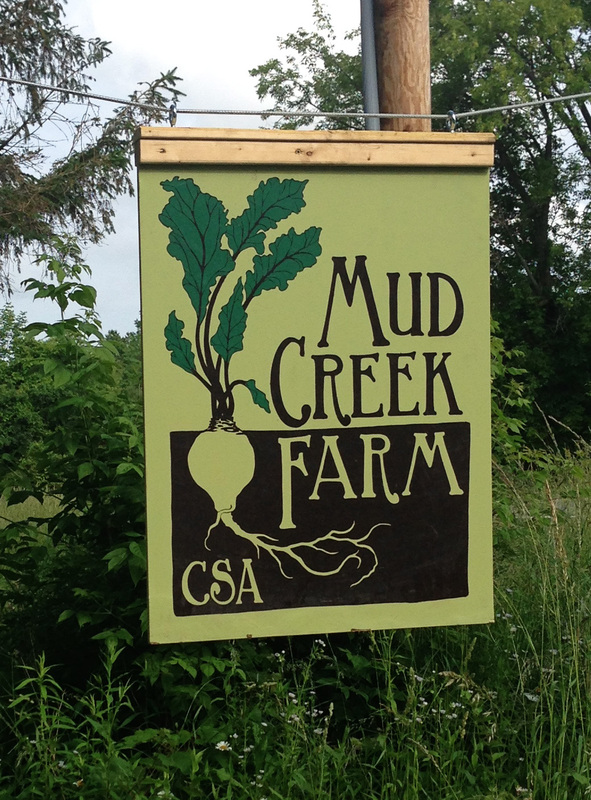 Despite the laissez-faire attitude, though, until last week, one critical component of our summer days was missing: our trips to Mud Creek Farm, where we participate in a CSA program. 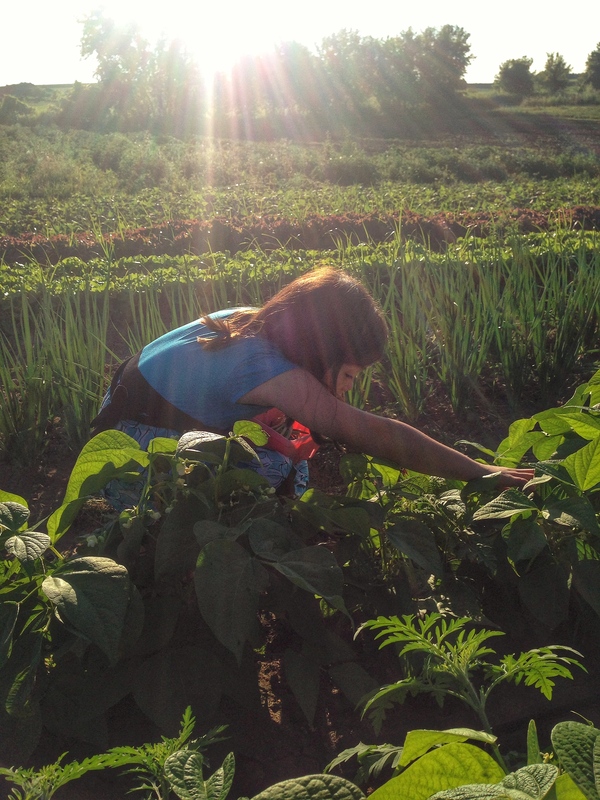 Last year was our first CSA summer, borne of a whim on my part – a thought that it would be nice to have fresh, homegrown produce every week; a wish that we would come to enjoy visiting the farm to pick our own herbs and veggies. 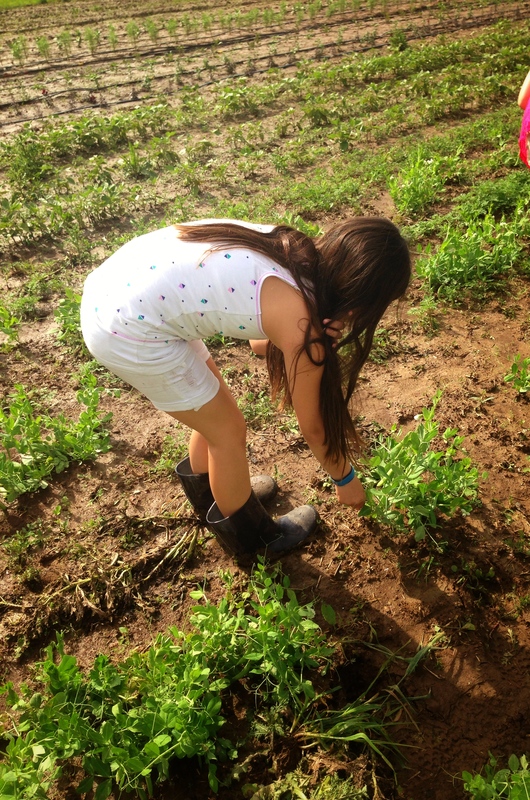 I’d hoped we would find it fun, that the 15-minute drive would be worth it, that we might even appreciate our food a little bit more having participated in collecting it (the veggies from our own garden always taste better than anything we get at the store!). I hadn’t anticipated that we would come to adore it as much as we did. Every week, we would count and weigh our allotted assortment of goodies, discussing which peppers looked to be the sweetest and which zucchini would make the best soup. We marveled at foods we’d never seen before – orange-hued watermelon?! (hint: it tastes the same as the pink kind) – and foods we’d seen but had never tried before (bok choy, I’m looking at you; turns out, it’s one of Ella’s favorites). 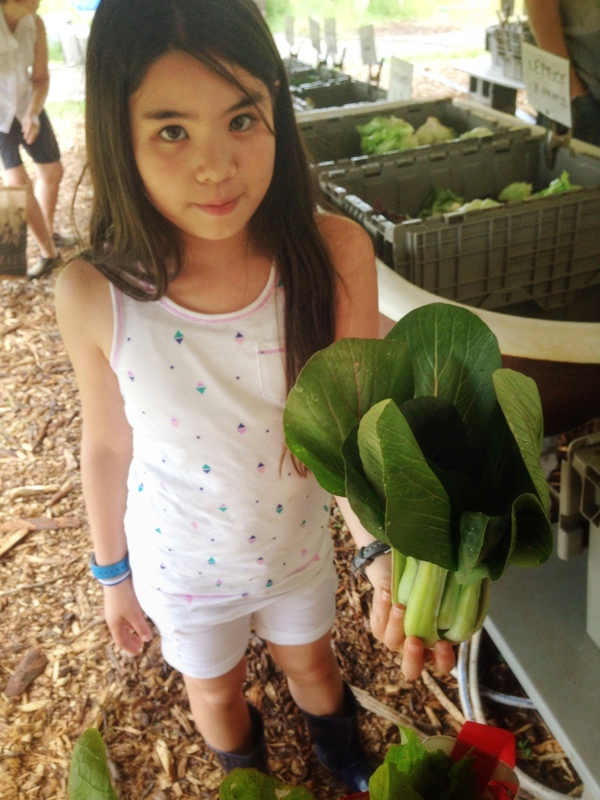 To her delight, bok choy was available at our first pick-up this year; score! We carefully weighed our two pounds of kale or three pounds of beets, watching as the hand on the scale wavered until it nestled on just the right amount. 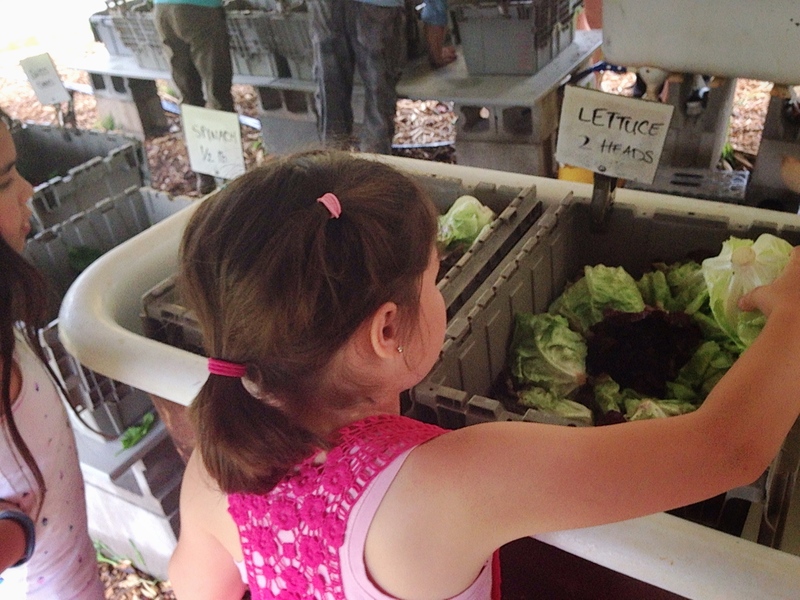 Choosing just the right lettuce to bring home. And when we’d collected our “official” share, we’d head out into the fields to take advantage of the you-pick options — beans, tomatoes, loads of herbs, peppers, gorgeous flowers — our bags growing fat and our arms weighted down (truly; one week, we picked more than five pounds of green, purple, and yellow beans). 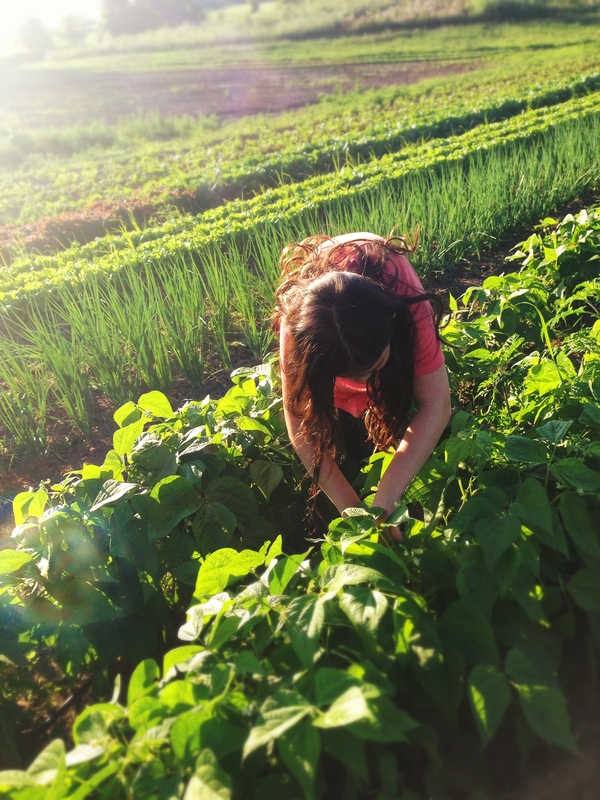 As the girls would walk gingerly between the rows, I would stop, every time, and watch the sun behind them, breathing in the very smell of happiness and freshness and freedom and summer. The farmers and employees are super friendly and helpful, and the fellow shareholders are genuinely happy to see us – it feels like a community. 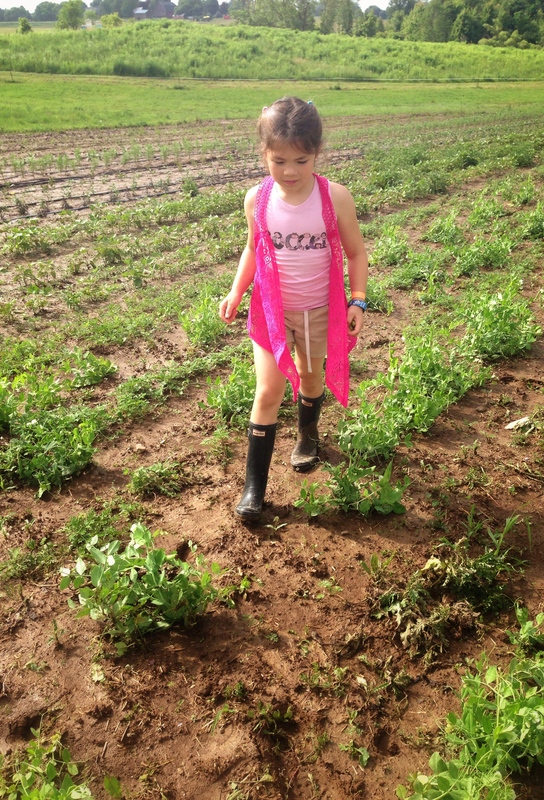 I’d hoped we’d enjoy the fresh produce, but I’ve been most excited by how much the girls and I just adore being there. It’s so serene and warm and lovely, truly a highlight of each week. When our season ended last October, I missed it… but, quite frankly, life was so busy between sports and travel and work that it was almost a relief to not have to drive to the farm. As June approached and the days — and our attitudes — lightened, I found myself longing to be back at Mud Creek. When at last the first pick-up day arrived last week, Ella and Annie and I could hardly wait to be back again. We can literally taste it. In absence of answers and in an effort to not become completely overwhelmed, I’ve been clinging to the little things, the ones that bring me hope and ground me; the way the dogs lie at my feet, sleeping contentedly; the sound of my daughter’s voice, bursting with confidence and joy, as she sings in the shower; the shy satisfaction of my other daughter as she shares a secret with me; the gleeful recognition of Nick’s number on the caller ID, meaning he’s checking in with us even when he’s not in town; watching So You Think You Can Dance and marveling at how ridiculously handsome Jason Derulo is (come on now, it’s not just me…). And our weekly visits to Mud Creek, which allow the girls and me some glorious downtime, an opportunity to laugh and talk and share, with the sun at our backs and fresh food in our hands. I know we are very fortunate to even have such an opportunity, and even more fortunate to love it as much as we do. Sometimes, it’s the little things that wind up being not so little at all. After receiving an absurd amount of rain recently, the fields last week made the Mud in Mud Creek particularly true. This entry was posted in good life, thinking and talking, typical crazy and tagged Annie, CSA, Ella, little things, Mud Creek, parenthood, summer by missemtoo. Bookmark the permalink. 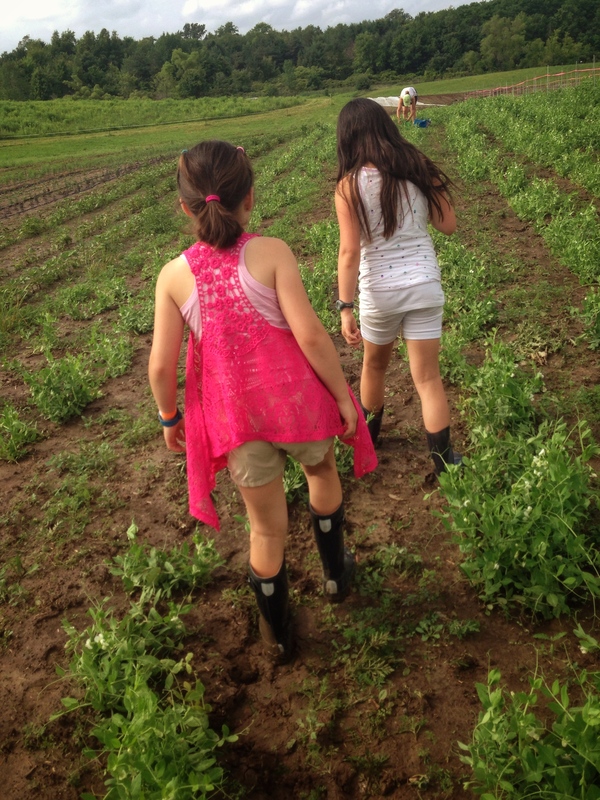 Beautifully written, and I’m so touched by what the farm means to you! 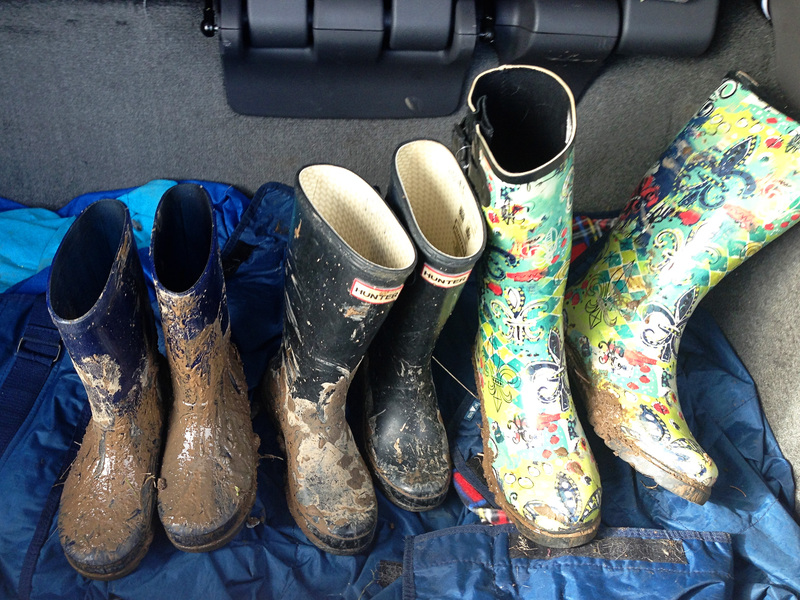 It makes all the muddy days worth it. Thanks so much, Ruth! We can’t wait to get back this spring.